Range: 300 Km on road / 150 Km off road. 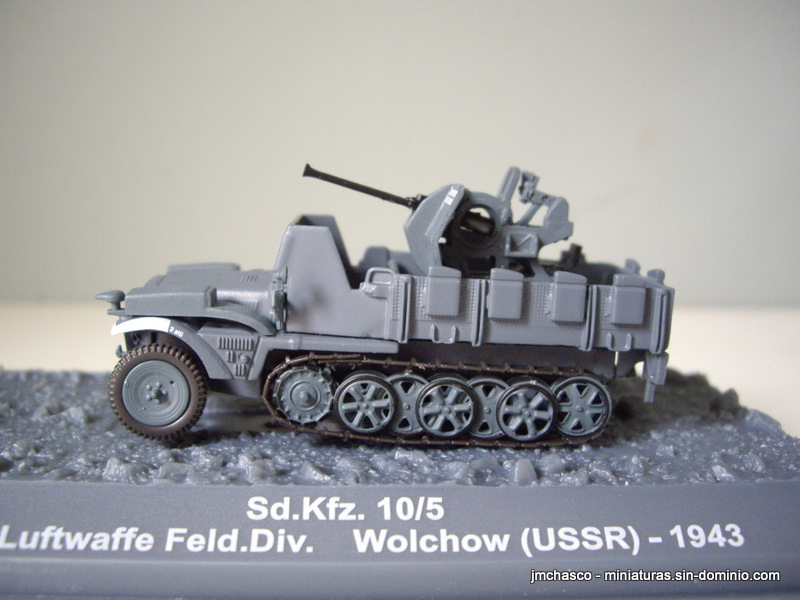 Sd Kfz. 10 was the smallest half-track truck in German army, intended to transport light flak, pak or artillery pieces, and 8 men, including driver. It was largely manufactured between 1938 and 1944, serving in all fronts. 5 version mounted a Flak38 20mm gun, and Luftwaffe vehicles were equipped with armour plates for windshield, both sides of the driver’s compartment and radiator, but Altaya’s model haven’t armour on radiator. This armor plates also fitted the 4 version, equipped with a Flak 30 instead of 38. An interesting model with no major faults, although very basic finishing, as always. The worst, the simple detail of the gun. Maybe a decent crew and some rework will increase they poor looking. 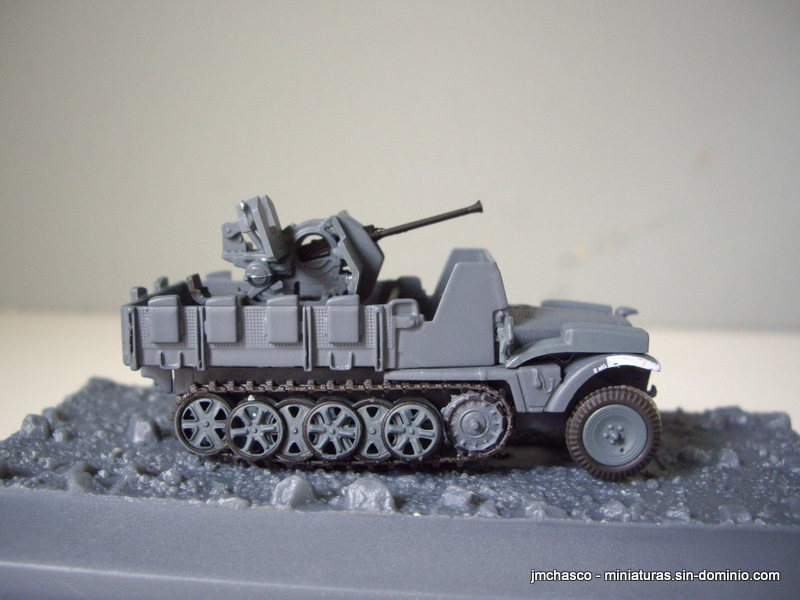 1 Pak 40/3 L/46 de 75mm. 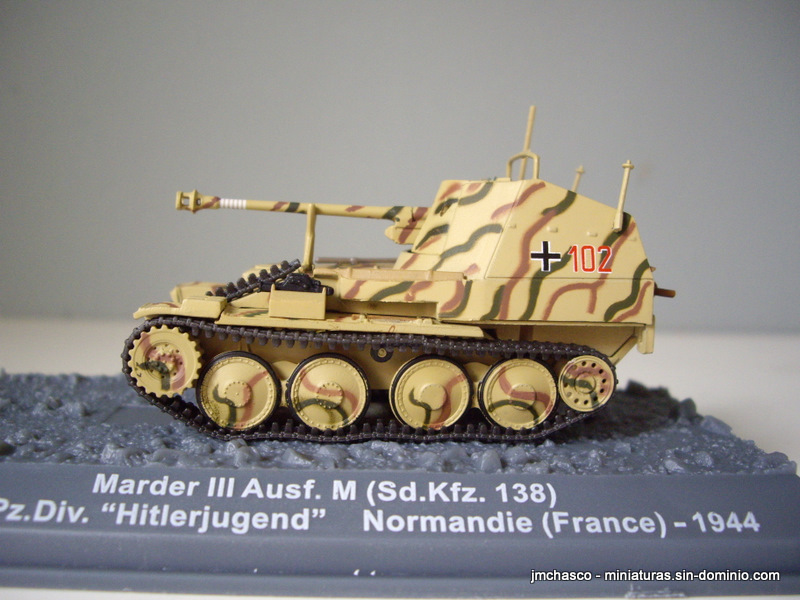 Marder series very quicly developed after 1941 encounter with soviet’s T-34 & KV-1 tanks. 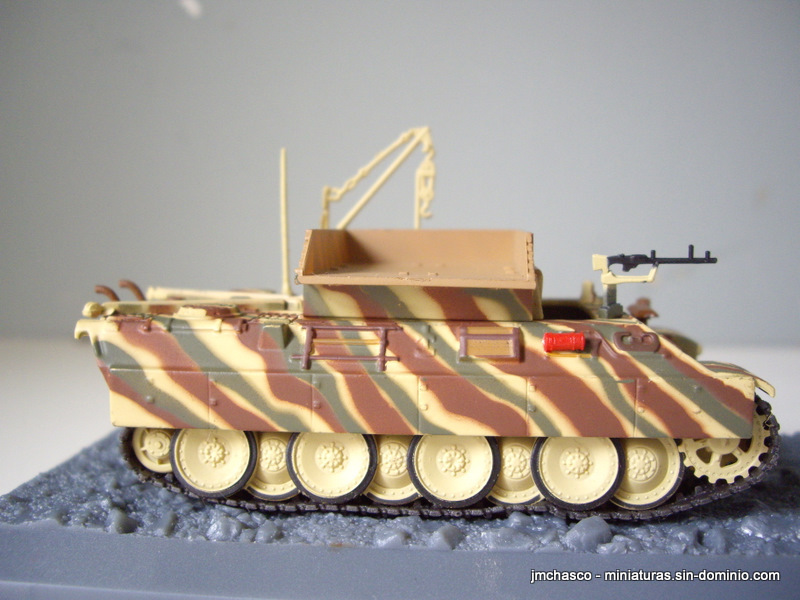 All Marder series recicles a chasis form previous vehicles. III serie was mounted on a Pz. 38(t) chassis. M version was the latest, manufactured between 1943 and 1944, and was the largest produced. The engine was moved to center, it allows to decrease the top siloute. Rear was closed and frontal MG was removed. It was in service until the end of the war, present in all fronts, even late Africa campaing at early version. Altaya’s model this time have a better look, although still a lot of things are improvable.The gun’s detail is poor, and some extra separation between upper plate and chasis plate. Also a some detailed interior will be appreciable. Even this, model have good looking average, some work to do and could be very useful. First thing to do a decente crew. ! Range: 320 km off road. 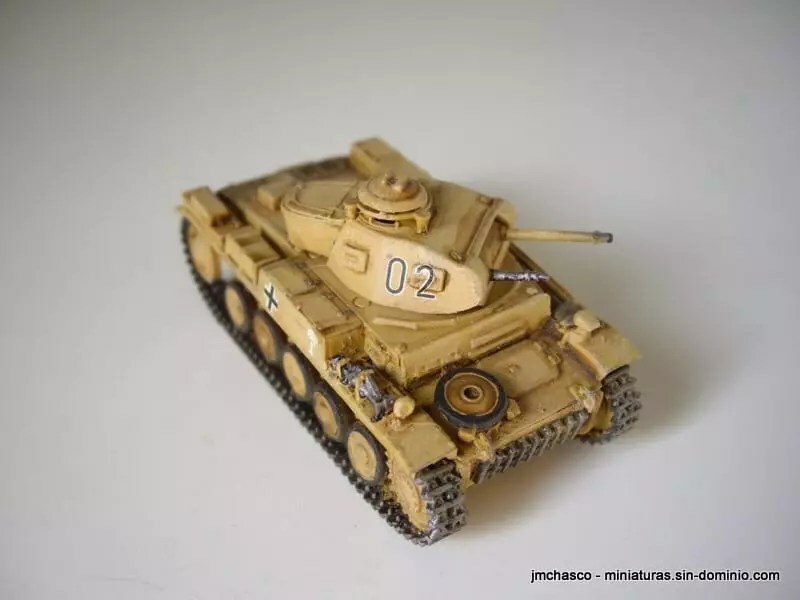 Bergepanther is an armour recovery vehicle, which was manufactured between June 1943 and February 1945, primary in three versions, all based on Pz. V Panther. Auf G, the latest was manufactured between October 1944 and February 1945. It is probably the less colourful, as this version haven’t the 20cm Kwk 38 in front. Some good information can be find here. This useful vehicle was in service until latest 1950 on French and Czech’s army. 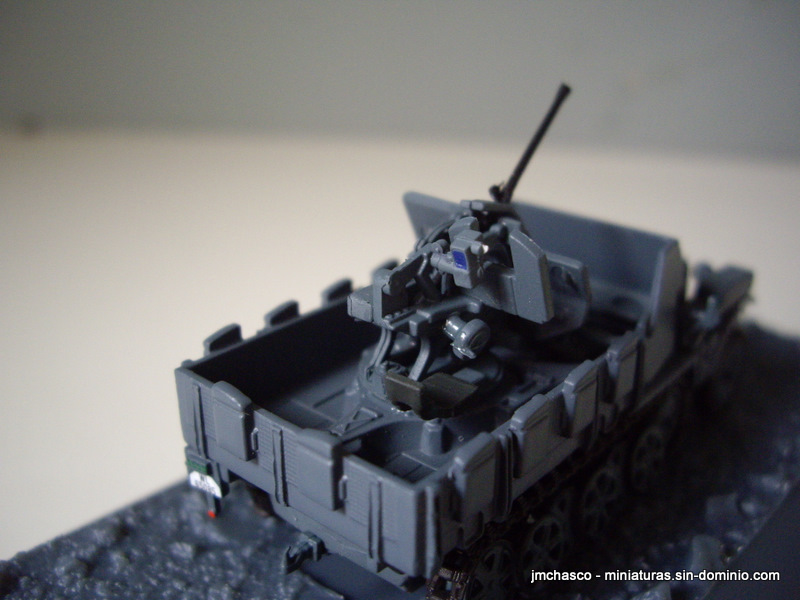 There is no many information about this kind of vehicles, and they aren’t common on scale model world. 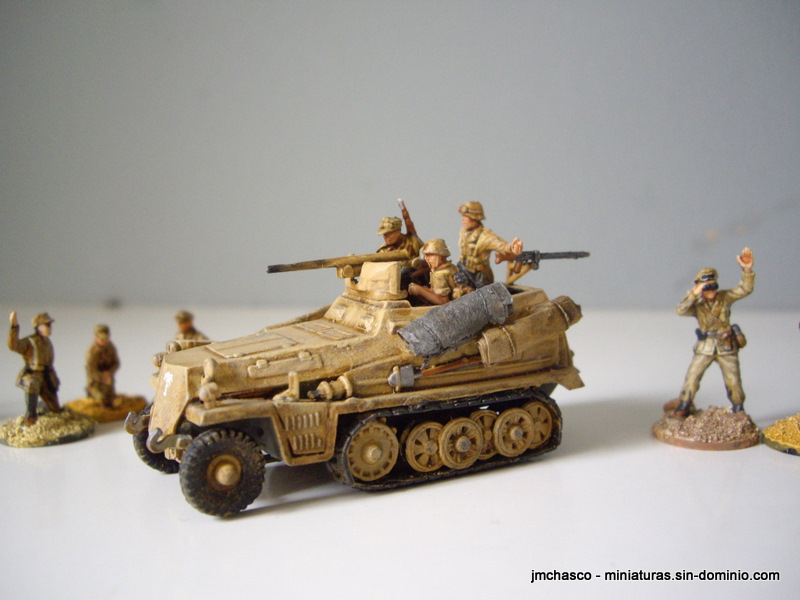 As war games incorporate rules about vehicles immobilization by track damage or others, they can b recovered and repaired in a number of turns agreed by players. 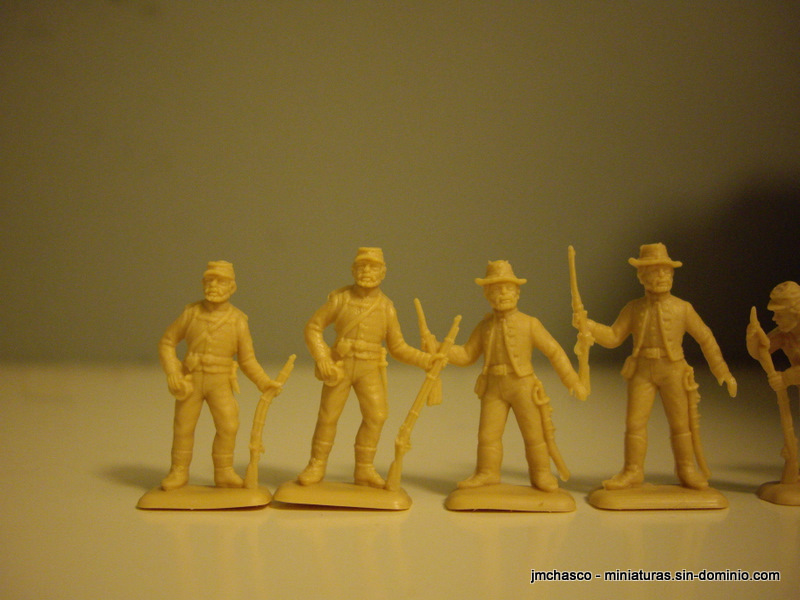 Some time ago i was trying to re-scale bigger 1/72 figures to make them compatible with my other sets. 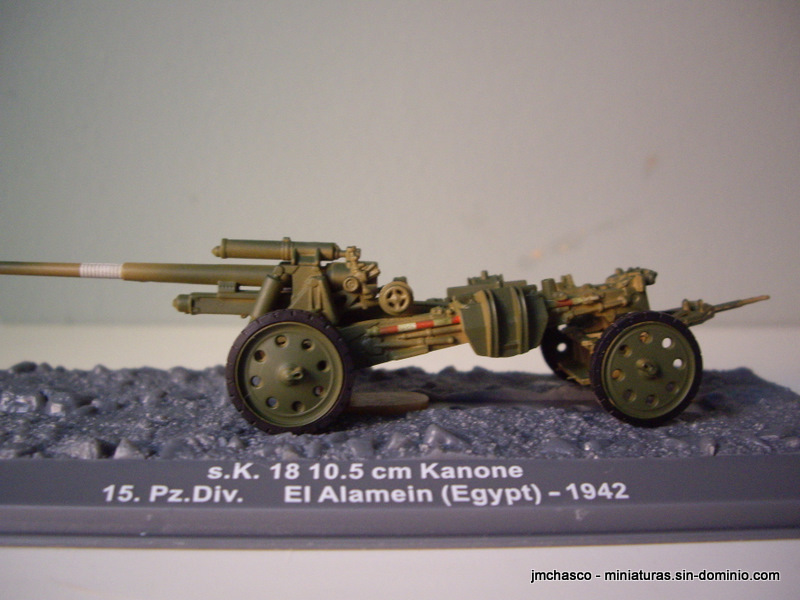 I also makes this with the Union Artillery Set (Italeri), guns were very damaged, but figures were “well” reduced. Somebody had tried to scale down figures in any way ¿? Revell set is totally compatible with old Esci’s (also issued by Italeri and now issued by Revell) and with most old Airfix’s one. 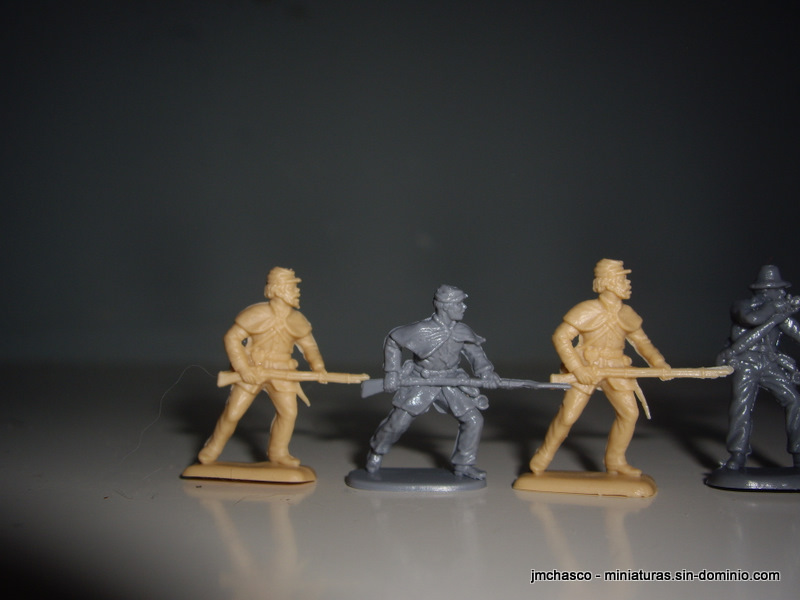 These three set also are compatible with the new Caesar’s one, but new sets releases by Italeri (DAK and Paratroops in tropical uniform) are 1 or 2 mm bigger. 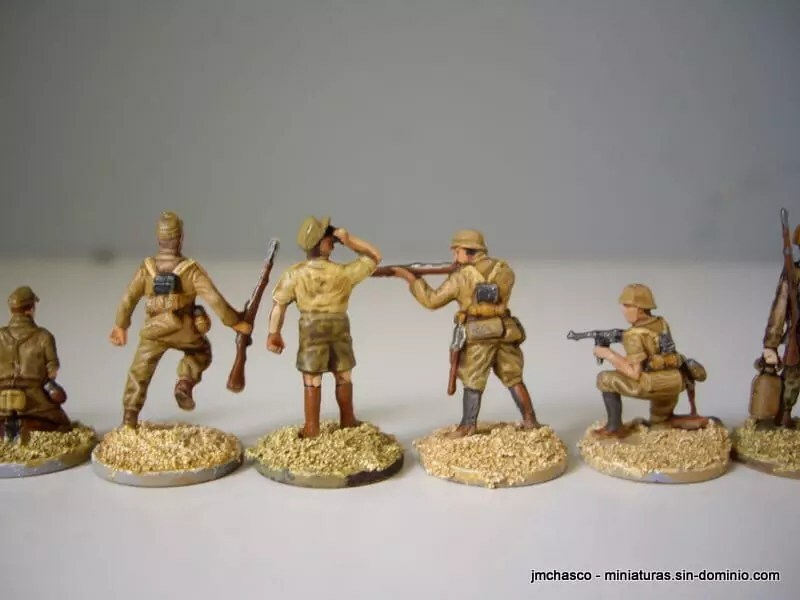 So if you are planing a DAK army, choose this 4 compatible sets and you will achieve a great pose range. 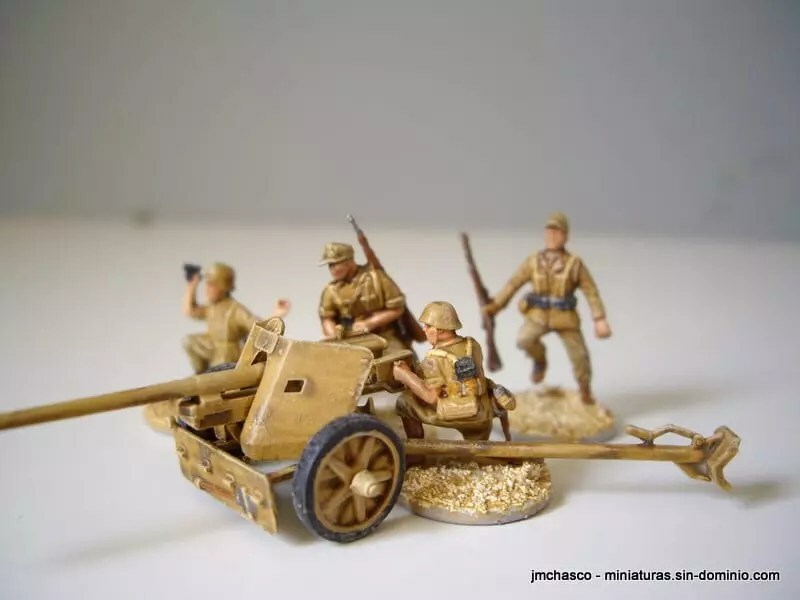 Revell sets have a lot of figures not very useful, like men carrying water and men drinking (also the one to seems be patrolling), but they comes with two great and complete (gunner + loader) MG42 machine guns, which is probably the most desiring from this set. 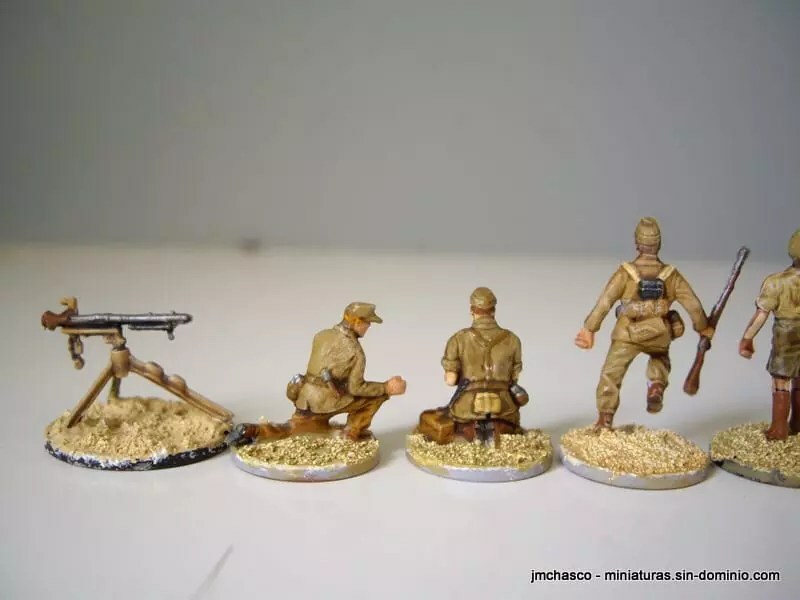 This set also have two poses, the men with a grenade and the ones knelling with sub machine gun , which can be easily used as crew for guns as the next two pictures show. 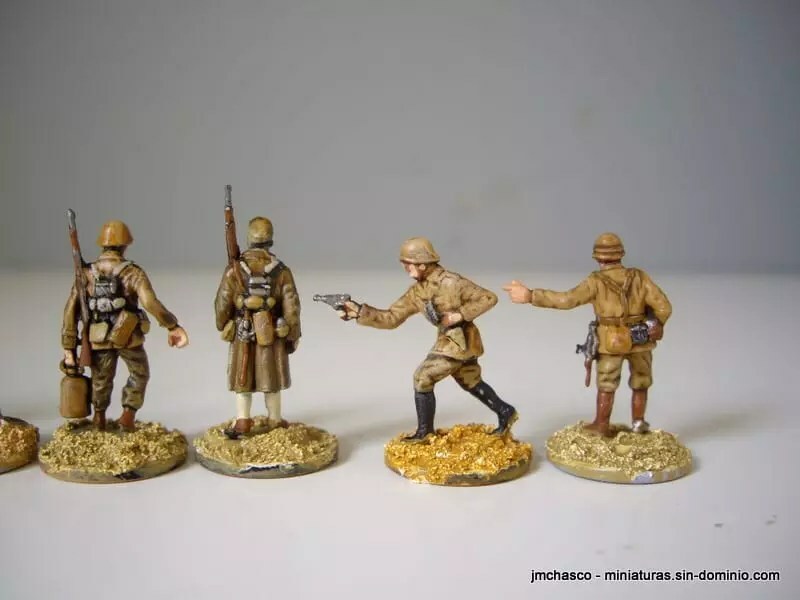 I like the sculpture from this set more than ESCI/Italeri ones, proportions seems to be more natural, although ESCI have some good poses to act as sergeants for Pak or MG. 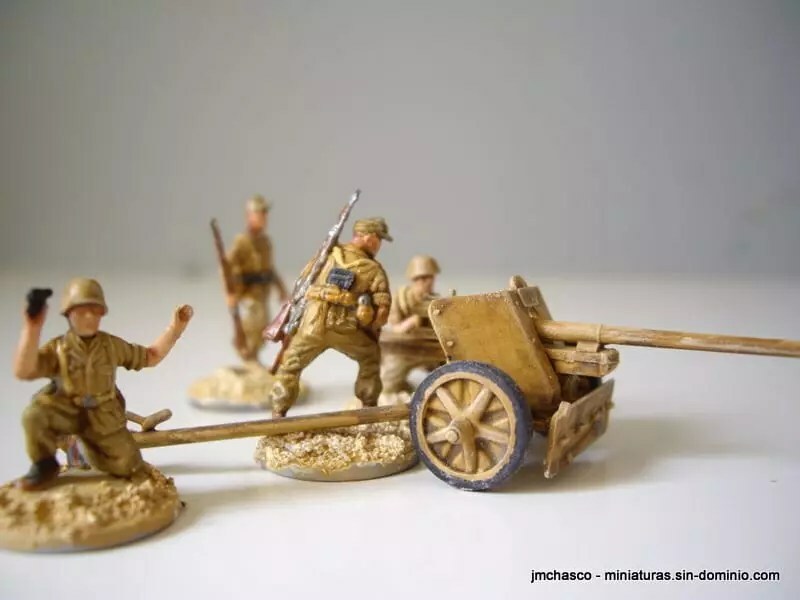 The Airfix set could provide a wide range of figures firing, in very good poses. 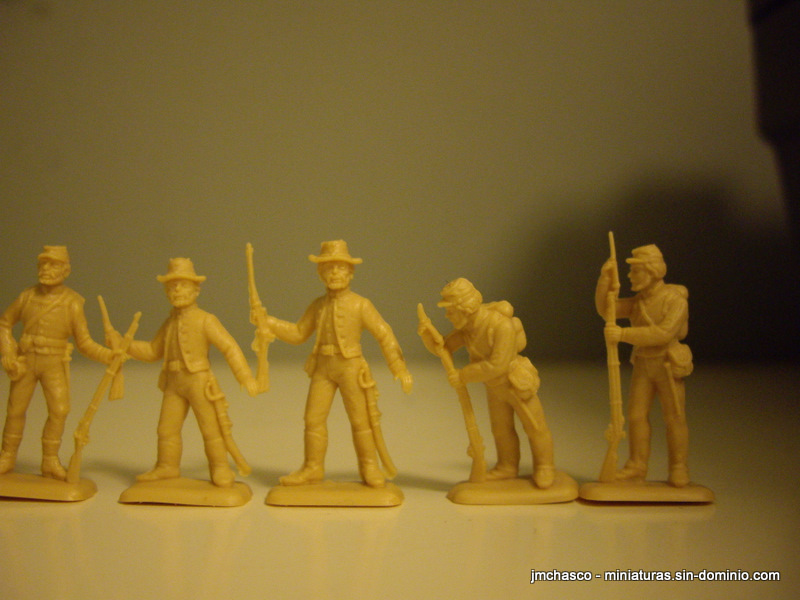 A good set, but maybe it haves an excess of poses not very usable for wargaming, but nice as scenery. Ausf F was the major version of Pz. 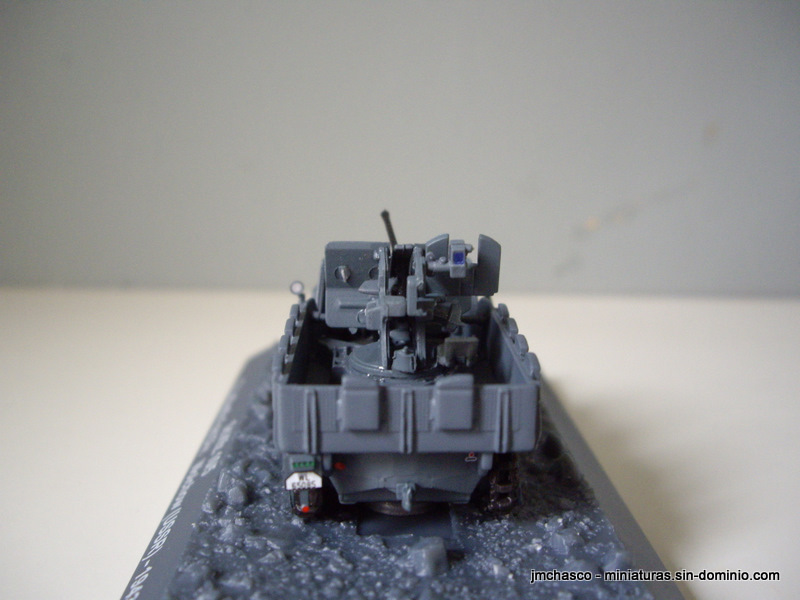 II, it had an increased armour and some interior and turret redesign. 524 Units were manufactured between March 1941 to December 1942. Take a look to detail and overall aspect against Altaya’s model. 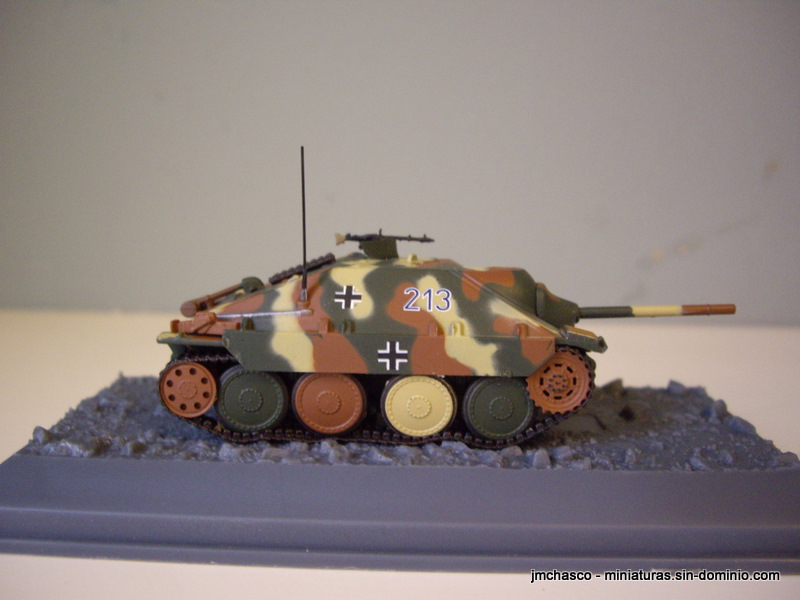 Airfix Sd Kfz 222 is probably one of the worst 222 available in 1/76 scale. The turret is so inaccurate that don’t correspond to any real version of 222. I was trying some new pigments with this models, but i just get some result with black pigment on scape zones. 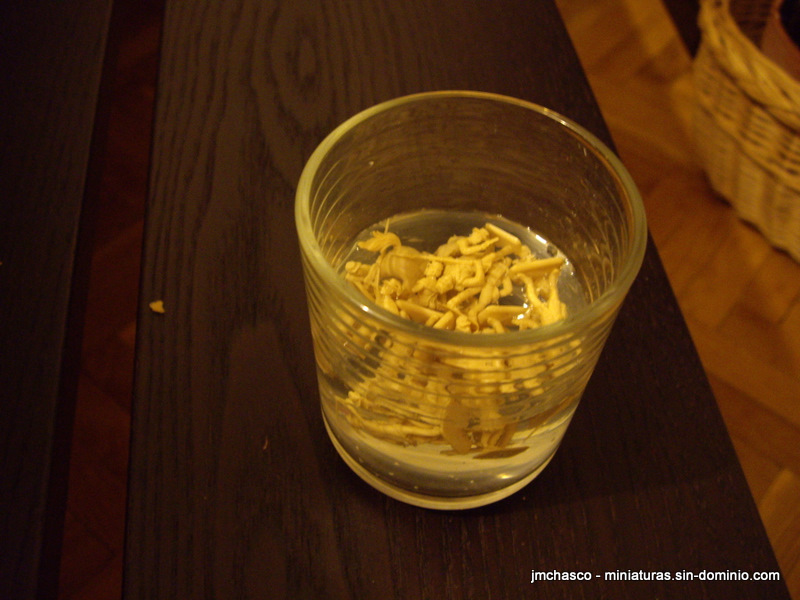 Dusted effect goes away in varnish phase. !? I’m gladded with European theatre ones more than DAK, which seems to be more ugly. Although they are 1/76 have a similar length and width than true 1/72, but is less tall, and wheels diameter is significantly appreciate. 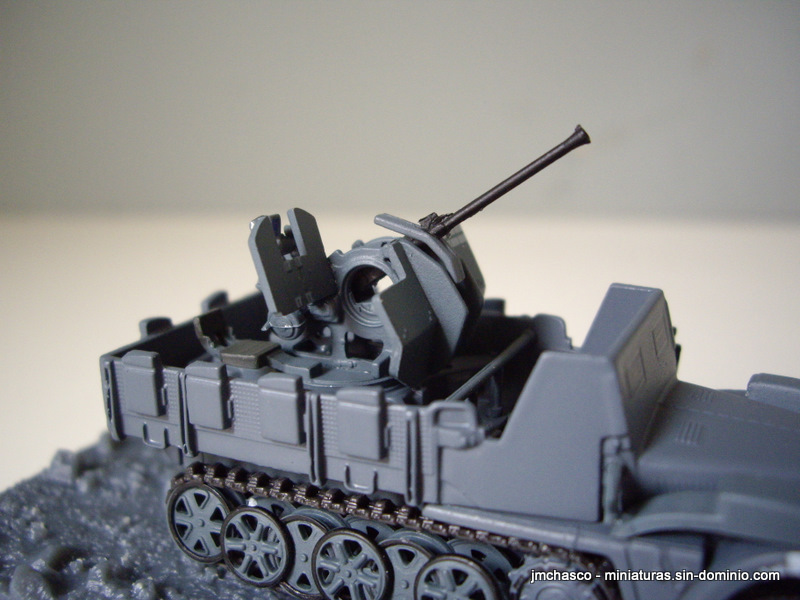 At Airfix Tribute Forum you can see a lot of great reworks around turret. Hasegawa Kubelwagen from Hasegawa’s set 31112 with BMW with side-car. 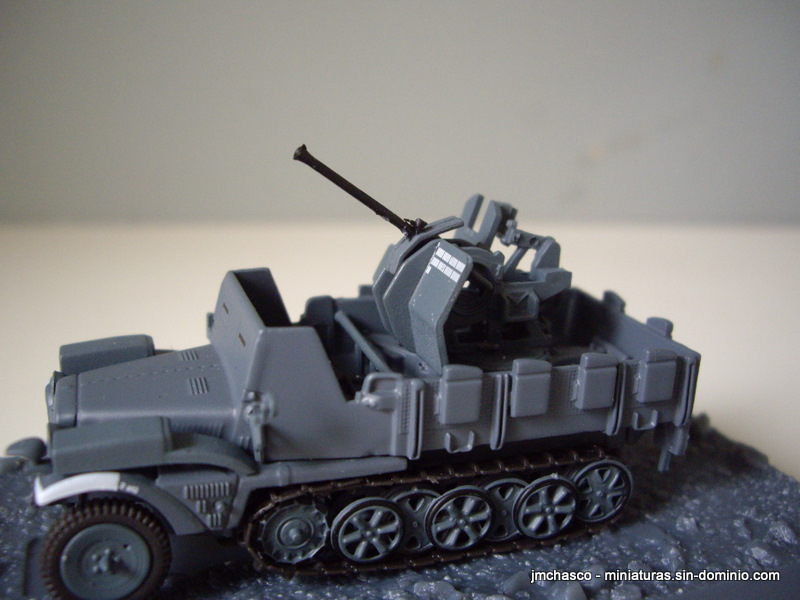 Driver is a hard plastic figure original from set, the gunner is a classic esci gunner from German infantry set. 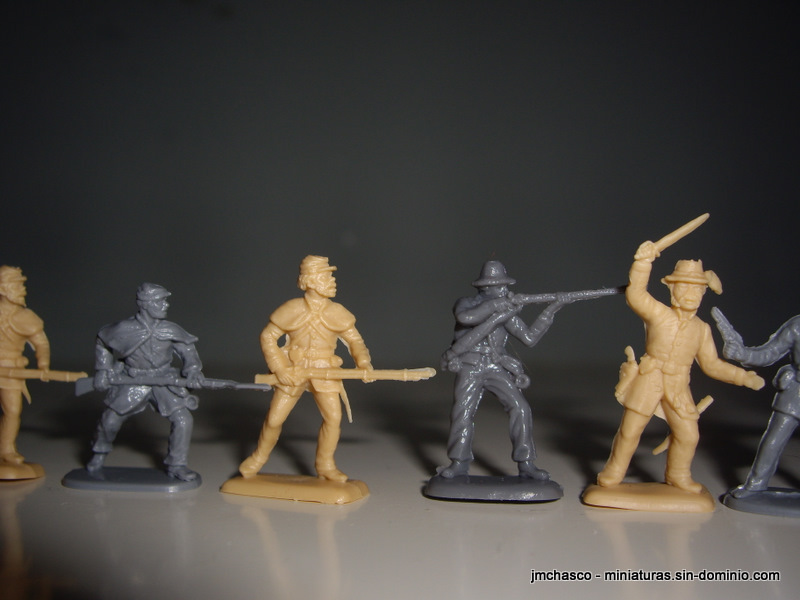 The officer with binoculars is a figure from Airfix recon set. 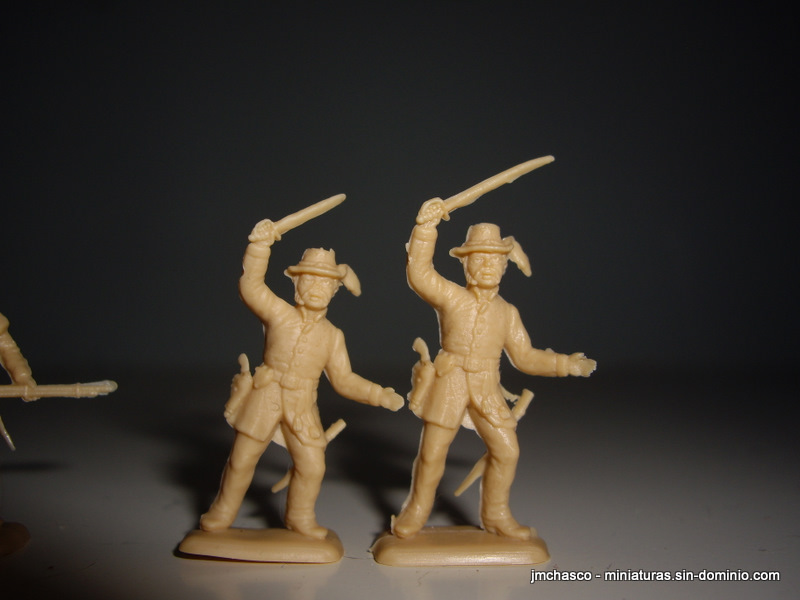 The original figure from hasegawa, an officer aking notes or watching a map, is very bad moulded and harms don’t fit well. 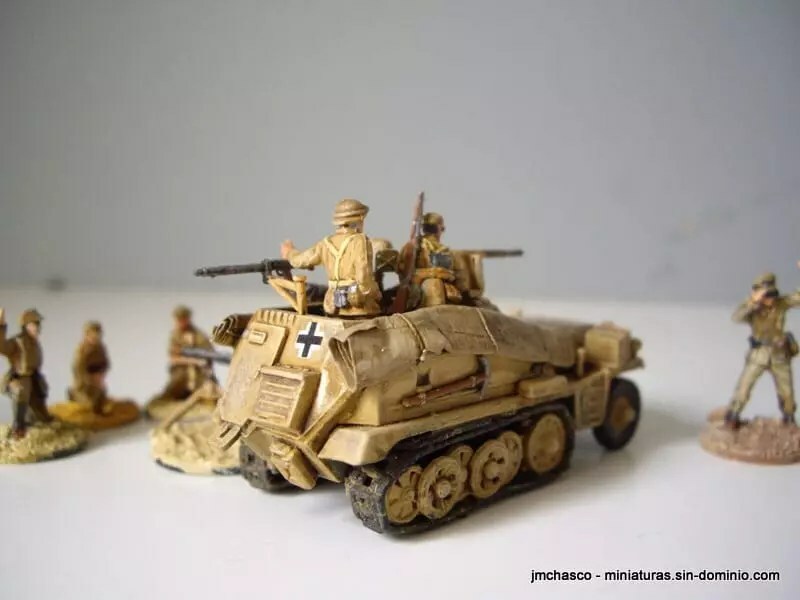 Model is better detailed than Italeri Kubelwagen fast kit, and the option of the machine gun is welcome, and bit of support for wargaming. Both sets are perfectly compatibles in size. [UPDATED] This sets seems to be expansion sets for the start up set of new game system, Art of Tactic. As seems on pics at Zvezda site, there are a few more poses on start up set, but no images for all content of the package are available. 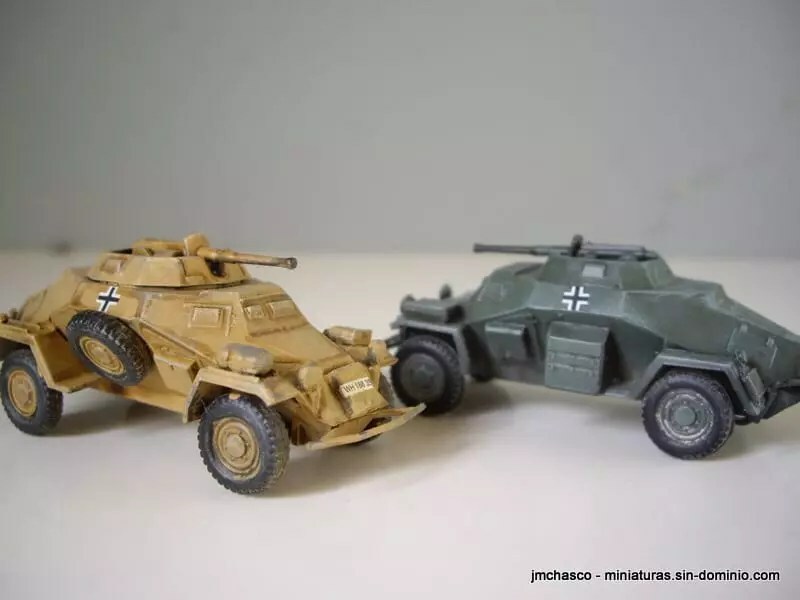 The game system includes vehicles in 1/100 scale, and seems to be a board game, which have been released with a game for the Russian campaign in 1941. I inaugurate this section with a comment about new Zvezda’s releases. 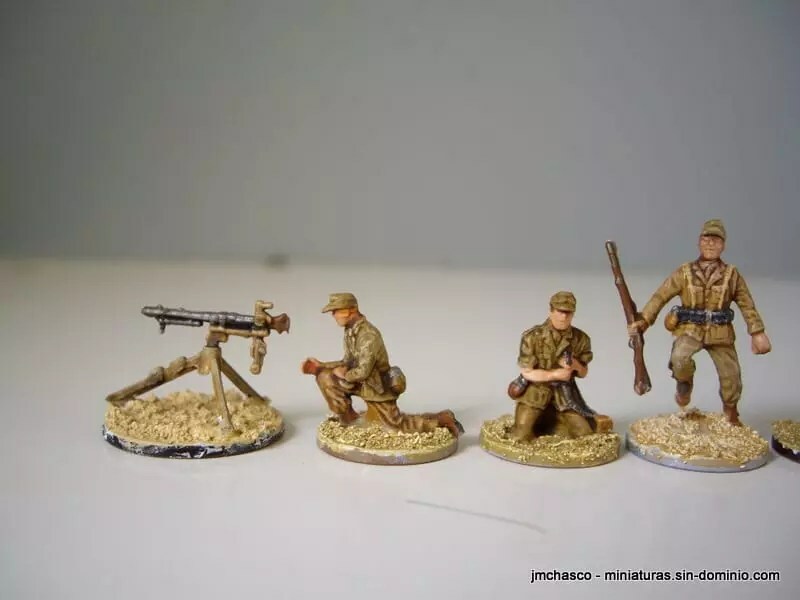 I don’t know very well what to think about this new sets, they are four in total, GERMAN INFANTRY 1939-1942 6105 and GERMAN MACHINEGUN MG-34 WITH CREW 1939-42 6106, and Soviet infantry 1941-1945 6103 and SOVIET MACHINEGUN MAXIM WITH CREW 1941-43. 6104. 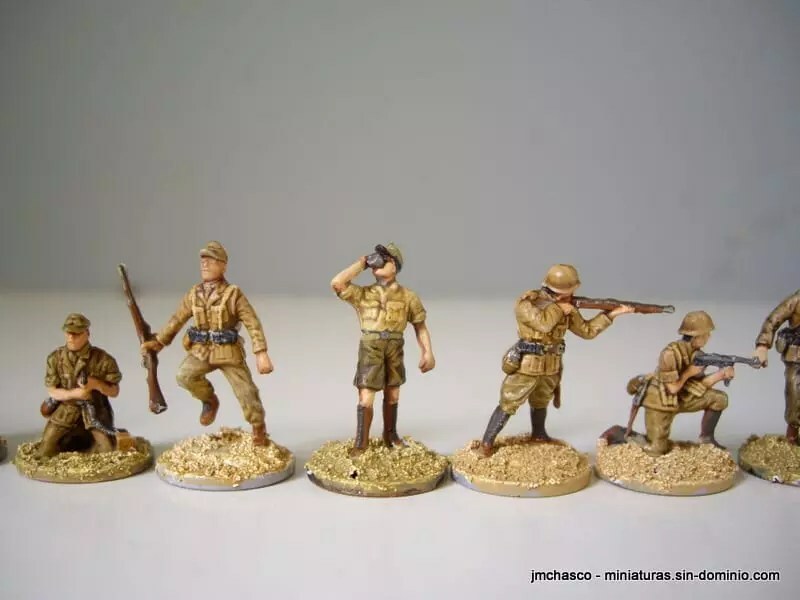 Infantry sets haves 10 figures in just three diferent poses ! nothing new to existing sets, plus two bases and cards for the new game system. 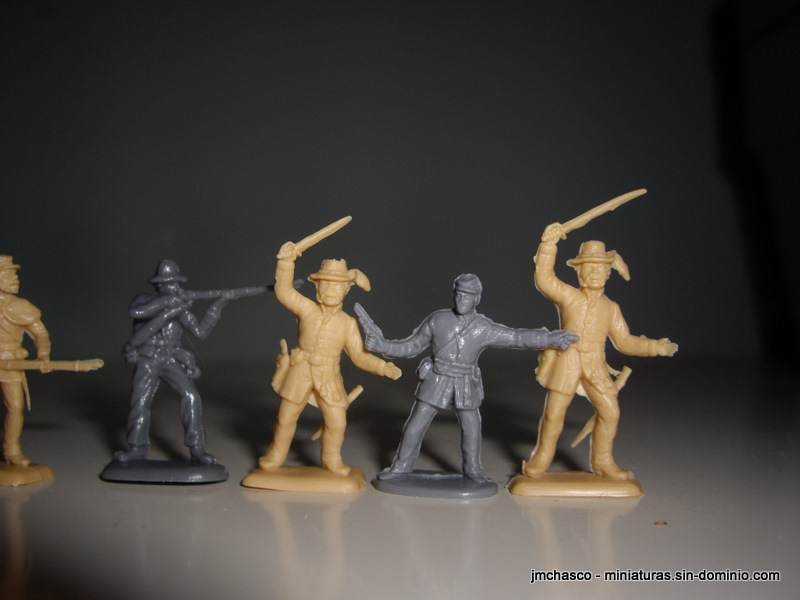 Machine guns teams are composed of two identical weapons with two crew each, in two poses. 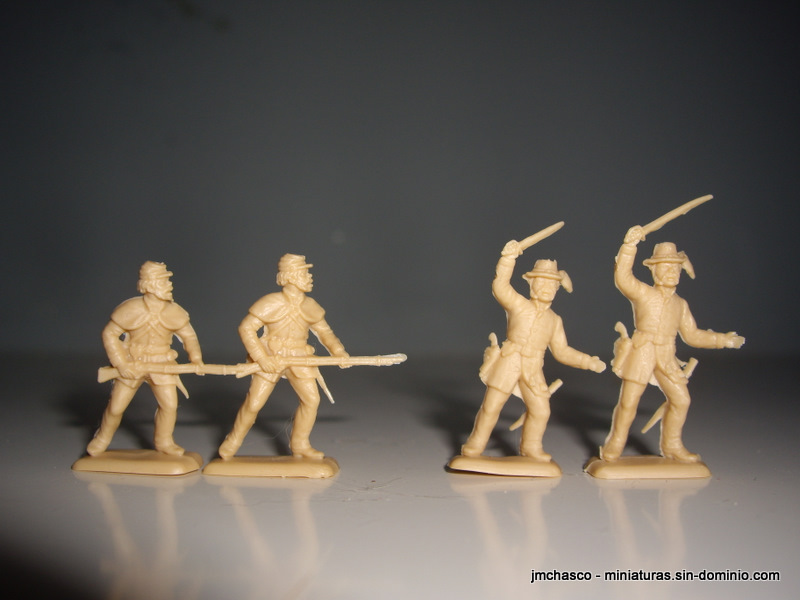 They are sets for wargaming, but… just three poses ? ten figures ? sounds almost like a board game !! , some board games have more poses. 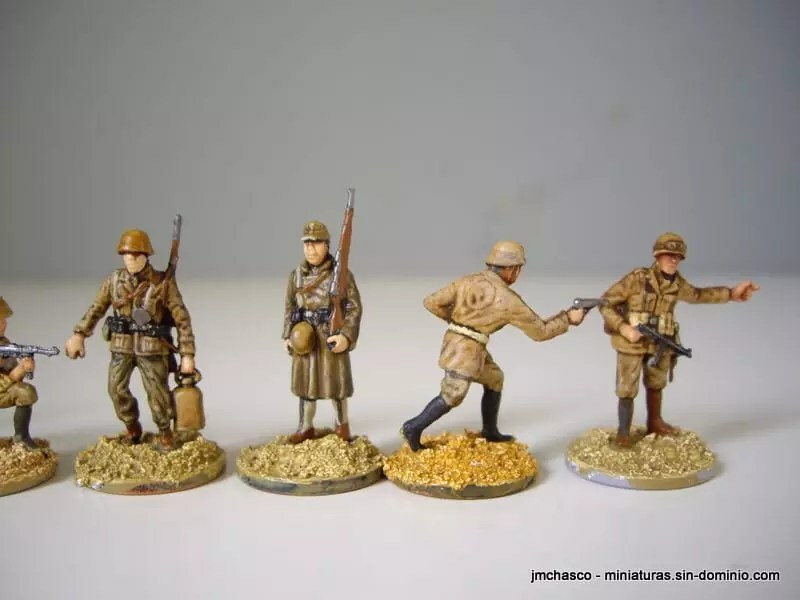 Germany sets are for years 1939 to 1942 and russian sets are for 1941 to 1943, so it seems there will be more sets to cover all the war. Figures seems to have same good quality as Zveda usual do, but so less poses and figures, i don’t understand this. Pictures are from Zveda’s artist published in their site. Another example of chassis re-utilization from Panzer 38(t), this were a very useful and little antitank weapon from late war. About 2584 units were produced since April 1944 until the end of the war, one of the common weapons on all fronts for this period. Altaya’s model has one more time a poor finishing. 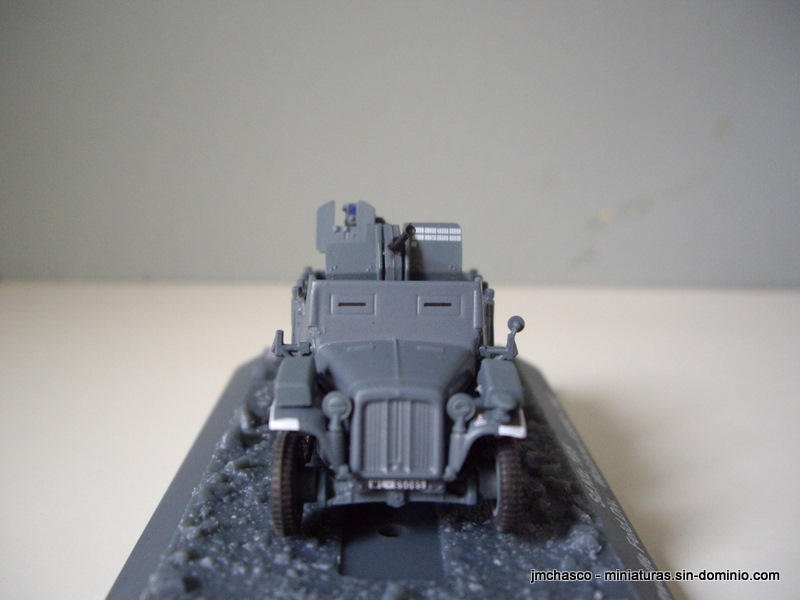 The vehicle itself is a good weapon for wargaming, with not a big calibre, that was present in all fronts for late war. Since latest 20th and early 30th Germany replaced obsolete first world war weapons, howitzers and guns were not a exception. 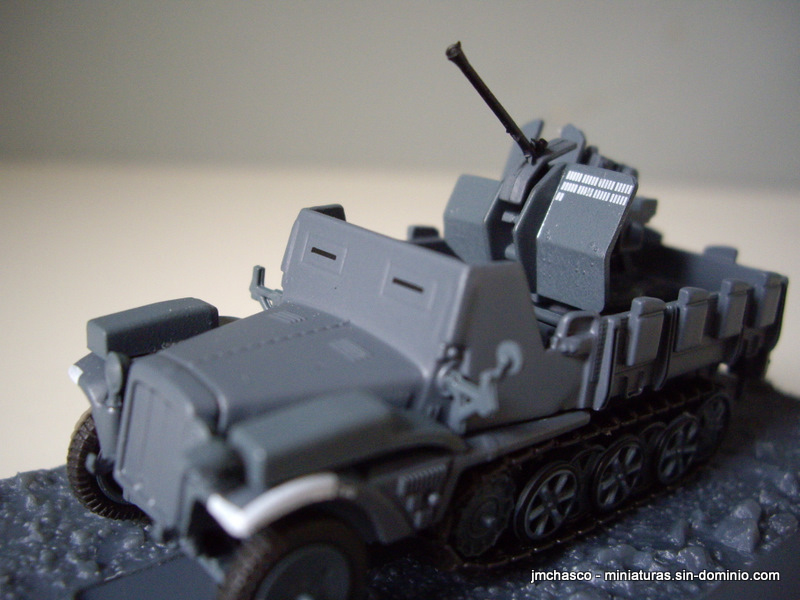 About 1500 units were made, since 1934 to 1945, deployed in artillery battalions of Whermatch divisions and independent battalions, as they big brother 15 cm sFH 18. Both guns had a similar configuration and were transported by the same tractors. Altaya’s model is basically finished, fixed in transport mode, with a nice camouflage pattern, but one more time, just an expensive toy.